You will enter a dream-like state, then activate your third eye, then separate your consciousness from your physical body and leave it through a portal that opens up for you to leave. You will then in your astral body and able to explore the dimensions of the astral plane. The idea of astral travel is linked to the afterlife, when one's spiritual consciousness/soul separates from the physical body. But the difference between astral projection and a dream, however, is that it is real. Indeed, this is also considered the difference between an OBE and AP. It is not a hallucination, and you are not asleep when it occurs! In astral travel, the soul goes on a journey into higher realms and through other dimensions. Astral travel is akin to what many describe as their experience during near death experiences — where bright lights, tunnels and second worlds are experienced in a very real way. The concept of astral travel is derived from the philosophy of Plato, who considered the astral plane to be made up of the planetary heavens of Astrology. Astral travel is your consciousness exploring these other dimensions/worlds. The astral body you travel in is your spiritual being, usually described as a swirl of colors, like an aura. It represents the soul / the spirit. This core of our being is capable of taking a journey outside of our daily physical existence. You may not be able to see these colors yourself, though others traveling the astral plane may see you in this form. Consider that some people have higher clairvoyance power than others and as such can see auras very easily and without practice. These people may see your aura in the physical world too. In these dimensions, you will encounter other beings, spirits and souls. You will traverse landscapes that will be wholly unfamiliar at first, and somewhat daunting and perhaps a little scary in places. At first it will be hard to identify what is what, but with experience you will sense each being's energy and whether it is positive or negative. In time, you will learn to fully trust your own energy and what it is telling you. Following your intuition is the key to successful astral projection. This is how you train, stimulate and in time activate your third eye, which must happen for projection to occur. Astral projection is not easy and takes practice, regardless of the method. However, there are best practice methods, which we have laid out in our guide. Practitioners often experience astral travel when they are in the early stages of sleep, when the body is very relaxed; and at times when attempting to nap in the afternoon. Some people also report episodes when under the influence of cannabis. Though be careful with this because it may simply be a hallucinatory experience and not real travel. Please also be aware that the smoking of cannabis may be illegal in your area. The fact is, astral projection isn't something anyone can do on demand, and like meditation it takes practice to open the third eye and separate the consciousness from the physical body. The mind needs to be in a state conducive to Astral Travel: totally relaxed, centered and spiritually porous. This is why astral projection is generally considered to be easiest when you have just woken up. At this time it is easier for the mind to slip into a state between wakefulness and sleep, activate the third eye and then step onto the astral plane. 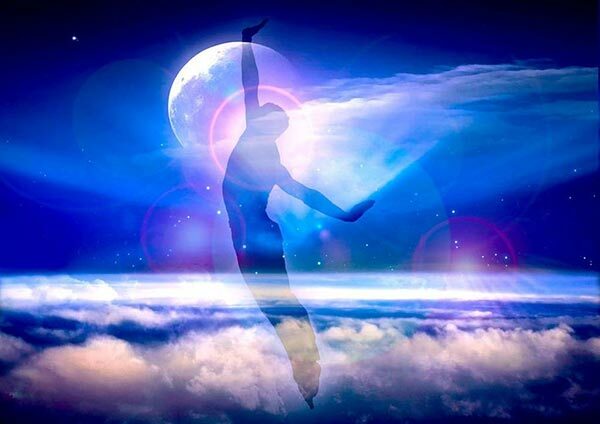 Astral Projection is very real, and thousands of people astral travel on a daily basis. The practice has been around for hundreds of years, albeit perceived differently by different societies at different times. It is cited in major religions (Christianity, Islam, and Buddhism). And similar concepts of “soul” travel appear in various ancient civilizations like Egypt , China, and India. For example, ancient Egyptian teachings present the soul as “having the ability to hover outside the physical body”. 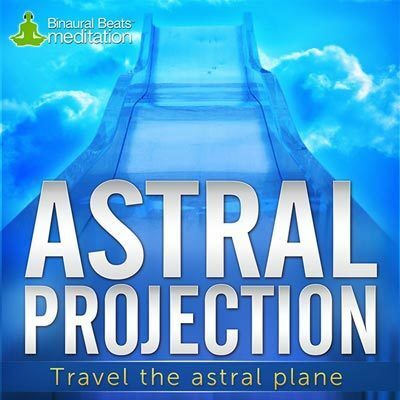 How Can Binaural Beats Assist Astral Projection? Binaural beats entrain the brain to specific states. By using a binaural beats composition designed for astral travel, we can cultivate the brain state most conducive to projection. 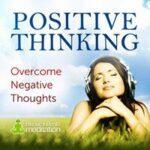 See here for a full run down on how the science behind binaural beats works. When creating our astral projection recording, we used carefully engineered blueprint of frequencies, spanning the Alpha, Theta and Delta zones. The recording is designed to take the mind on a trip, encouraging a dreamy state as we weave down through these three brain states, arriving at a state of deep meditation (not sleep) at approximately 8-10 minutes in. This is where the listener will begin their astral journey, as the third eye is stimulated and a portal begins to open to allow the separation of consciousness from the physical body. The recording's etheric soundscape is also designed to evoke a trance-like state, conducive to the inner awareness required to achieve astral projection. 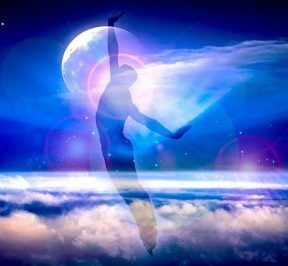 The best way to achieve astral projection is to follow our 6-step guide while using our astral projection recording. 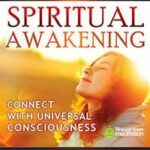 You can download the recording and the guide, which also explains everything you need to know about astral projection in much greater detail than we have here. You'll learn about the difference between and out of body experience, sleep paralysis and astral projection, and how to identify between these different experiences. You'll also learn how to train your third eye, the best time to project, and what to expect on your journey through the astral plane. If you want to test the recording, or don't have the funds for the full experience, you can download a free 10-minute sample. 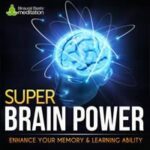 This free astral projection mp3 doesn't come with the 32-page guide, but you'll get a feel for just how powerful this audio is and its potential to help you with your journey. Once downloaded, we recommend that you put on headphones, lie back, close your eyes and listen for the full duration. Do so in a place that is quiet and free from distraction. Lose yourself in the track and let yourself fall into your intuition. If you dig the experience and want to complete it, you can grab the full 30-minute astral projection mp3 and 32-page guide for just $9.95. When you download the astral projection mp3, it will probably open in your browser window and begin to play immediately. To save it to your computer, simply right-click on the page and press save. You can also go to file > save as, using your browser's menu. If you are on an iPhone or iPod, you will probably have to stream the sample in your Safari or Chrome browser window. > Click here to download your Astral Projection mp3. Have a listen to it as soon as you wake up tomorrow morning, or when you are just about to have an afternoon nap on the sofa.